Big Agnes System bags with FireLine™ ECO synthetic insulation offer a roomy, rectangle-shaped sleeping space with an integrated Flex Pad Sleeve on the bottom. Big Agnes System bags with FireLine™ ECO synthetic insulation offer a roomy, rectangle-shaped sleeping space with an integrated Flex Pad Sleeve on the bottom. 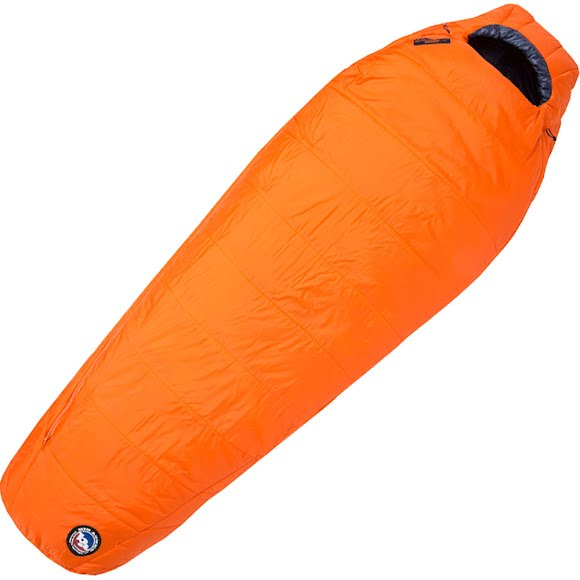 With technical fabrics and construction, 100% recycled, super-warm insulation, and tons of comfort features, these comfortable sleeping bags are designed to be lightweight enough for backpacking but cozy enough you&apos;ll want them in the campground too. The streamlined silhouette and Flow™ construction increase the thermal efficiency keeping you warm from head to toe. The Flex Pad Sleeve unites easily with your pad, and as you change positions over the course of the night, will keep you from rolling off your pad. 100% post-consumer recycled polyester. Features low-denier fibers that are tightly woven and provide high loft, compressibility, high weight-to-warmth ratio and durability. Max User Height Reg: 5'10", Long: 6'6", Wide Long: 6'6"
Stuffsack Size 9" x 20", Compressed size- Reg: 8" x 9.5", Long: 8" x 10.5", Wide Long: 9" x 12.5"